Last week was cold, wasn’t it? But Monday shows some promising picnic weather in the afternoon — get out into nature, and forget about the stresses of school for an hour. For everyone who’s itching to use their kitchen more, try making some vegetarian dumplings, then pack them up in foil along with your favorite dipping sauce and head to the Berkeley Rose Garden. If you can’t afford to spend that much time away from campus, head over to MoMo across from North Gate Hall, and enjoy its Himalayan-style dumplings in the natural beauty of Memorial Glade. Then on Tuesday, make your way to Amoeba Music’s San Francisco location, where the psychedelic rock group Mystic Braves will be playing a free show at 6 p.m. After the show, members of the band will sign copies of their new album The Great Unknown. If you love the band but can’t make it out there on a weeknight, Mystic Braves will also be playing a set at The Chapel on Friday — tickets cost $20 at the door. Now, I don’t mean to brag, but I spent three weeks last summer in the Czech Republic as part of a Berkeley Study Abroad program on the history of refugees in Europe. So I might head over to San Francisco State University on Wednesday to get my nostalgia on by watching the 1962 Czechoslovakian film “The Outrageous Baron Munchausen” (also known as “Baron Prásil” in Czech). Karel Zeman’s fantastical blend of live action and animation takes viewers from a rocket ship to 18th-century Turkey, offering plenty of action and excitement along the way. This screening will kick of a semester’s worth of Czechoslovakian films hosted by the School of Cinema at San Francisco State as part of its “National/Regional Cinemas” course. Subtitled movies will be shown Wednesdays at 6:30 p.m. all through the fall, and the series is free to the public. Thursday marks a particularly chaotic day for members of any of UC Berkeley’s more than 1,200 clubs and organizations — Calapalooza, the campus’s biannual student activities fair, will be from 3 p.m. to 7 p.m.
Perhaps one of the many student musical groups — such as Cal Jazz Choir or Berkeley Dil Se, or possibly even the University of California Marching Band — will be performing a concert. Or maybe you can find a member of Cal Berkeley Democrats or Berkeley College Republicans and engage in some lively political debate. At the very least, check out your local student-run newspaper’s booth, and grab a copy of the latest issue. On Friday, some album drops. Troye Sivan’s “Youth” and “Lost Boy” take me straight back to high school, so I’m looking forward to his darker and edgier, yet still highly danceable, Bloom. Check out the 23-year-old Australian’s lead single “My My My!” for a taste of what this album has to offer. Big Red Machine’s self-titled debut album is also set for release Friday. 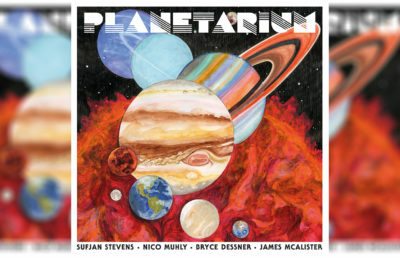 Now, I hadn’t heard of Big Red Machine until last week, but I’d definitely heard of its members: Bon Iver’s Justin Vernon and The National’s Aaron Dessner. This collaboration seems like a mellow and richly layered treat, if tracks such as “Forest Green” and “Hymnostic” are anything to go off of. As it so happens, Saturday is the first day of September, and September is International Square Dancing Month, National Mushroom Month and Self-Improvement Month. What does this all mean? Well, it seems to me as if it’s a sign that I should head back into San Francisco — first for mushroom-gorgonzola empanadas at Nucha Empanadas in the SOMA StrEat Food Park, then to the Fillmore Center Plaza for the Salsa Festival on the Fillmore, which will provide dance lessons at 6 p.m. as well as live entertainment until 10 p.m. Mushrooms, dancing and yes, a little self-improvement too — need I say more? On that thread, while International Bat Night may have actually been last weekend, it’s never a bad time to learn more about our winged mammalian friends. 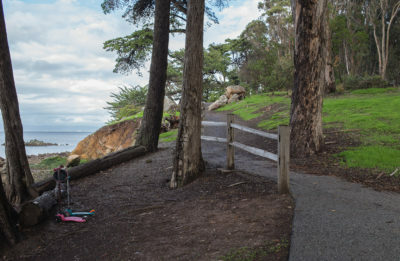 This part of California is home to about 17 species of bat, at least 10 of which can be seen in areas such as Muir Woods National Monument, John Muir National Historic Site and Eugene O’Neill National Historic Site. For a longer day trip, drive down Sunday to Pinnacles National Park, which provides a habitat for up to 13 bat species, as well as California condors. And then it’s Labor Day. There are endless opportunities for fun, especially westward across the bay. If you’re a sports fan, pass by Levi Strauss Plaza to watch Il Giro di San Francisco, the city’s annual bike race. 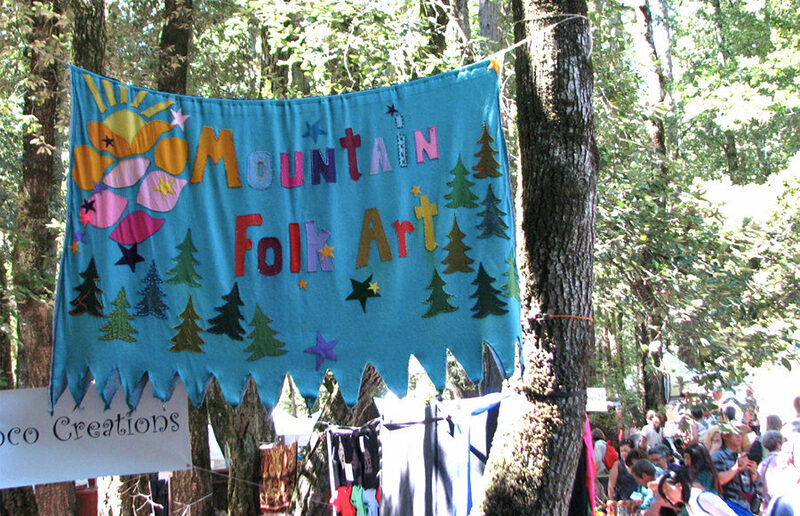 Or if the traditional arts are more your style, drive a little farther south to Woodside, where the Kings Mountain Art Fair offers a chance to meet artists and enjoy delicious food among the redwoods. And if you want to take Self-Improvement Month just one step further, consider helping out at St. Anthony’s Dining Room, which provides nearly 2,500 meals daily to poor and homeless residents of San Francisco. While you’re in the car or on BART, take turns reading out loud from Caroline Smith’s interview with Desiree Akhavan, director of “The Miseducation of Cameron Post.” In Akhavan’s words, the original novel was “the most honest depiction (she’d) ever read of being a teenager,” and she aimed to carry that message through in the films. And if you run into any rogue bats during the week, or if you have anything else to say, please reach out: [email protected]. I’ll carefully craft a reply back like a male Japanese pufferfish building a sand sculpture. Contact Ketki Samel at [email protected]. Tweet her at @ketkisamel.